For several years now – and even during turbulent times – Variuscard has been successfully producing advantage cards for Forstinger. As fulfilment service provider, Variuscard takes care about application forms printing, production and personalisation of the Forstinger advantage cards and also offers a smooth and efficient dispatch. Variuscard also produces gift cards in smart matt black and with a partial silver finishig, ensuring stylish and always matching gifts for many car and motorcycle enthusiasts. 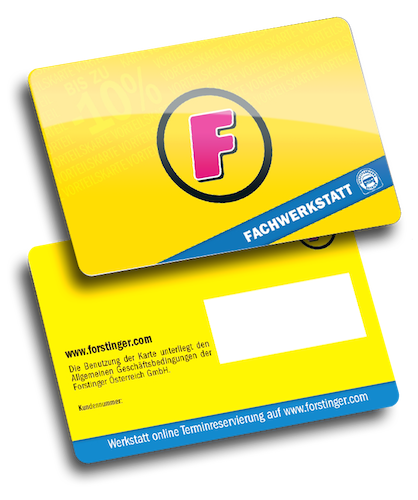 The new Forstinger club card was launched in September 2018. In addition to an attractive design, it offers many discounts and exclusive advantages for cardholders. Among other, up to 10% annual bonus, monthly special offers, exclusive regular customer days, birthday surprises and even selected free services in the special car workshop. 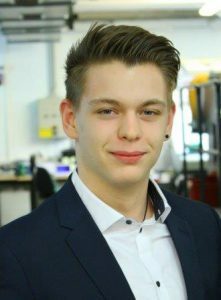 Forstinger has been providing mobility for over 55 years and is Austria’s largest nationwide retailer of car accessories and spare parts with an associated specialist car workshop. The noble frosted black gift cards are available in all 90 Forstinger branches throughout Austria and the customer can choose from a range of more than 300,000 articles. 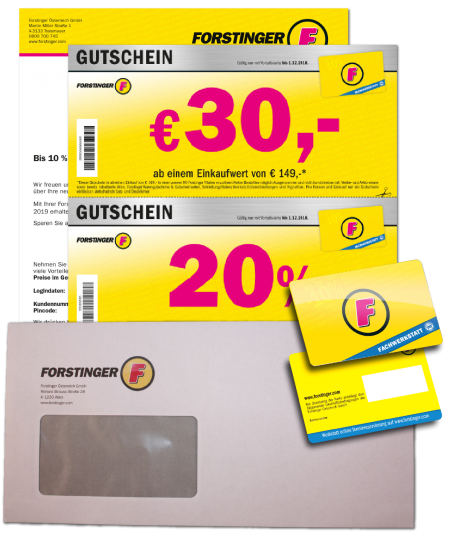 For many years Forstinger has been relying on the quality and reliability of Variuscard in the area of gift cards and advantage cards, and purchases cards and mailings from our Viennese production. We are proud of this long-standing cooperation and are pleased to produce and dispatch over 75,000 advantage cards for Austria’s largest car specialty store also this year. We are here to help you with any questions about advantage cards. Please don’t hesitate to contact us.